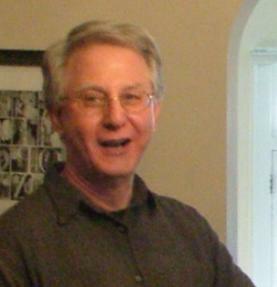 Bill Yarrow is the author of the poetry collection, Pointed Sentences, published earlier this year by BlazeVox (books). He is the author of two chapbooks, Fourteen (Naked Mannekin, 2011) and Wrench (erbacce-press, 2009). Yarrow’s poems have appeared in numerous print and online literary journals, including Del Sol Review, Poetry International, Confrontation, Rio Grande Review, and PANK, to name a few. He is also active on the writing site Fictionaut. Yarrow is currently a Professor of English, as well as iCampus Faculty Coordinator, at Joliet Junior College in Illinois, where he has taught since 1993, including courses in creative writing, Shakespeare, and film. He is also a poetry editor at THIS Literary Magazine. Derek Alger: Congratulations on the recent publication of your poetry collection, Pointed Sentences. Bill Yarrow: Thanks, Derek. I’m very happy that Geoffrey Gatza and BlazeVOX published Pointed Sentences in January. It’s a handsome volume and is a representative collection of 114 of my poems written mostly over the last three years—a prolific period in writing and publishing for me. DA: The poet Tony Barnstone describes you as “the Sun Tzu of verbal warfare” and “the Machiavelli of mental strategy” in referring to Pointed Sentences. BY: I appreciate it and think it was very generous of him. I think he’s referring to the fact that my poems routinely pull the rug out from under the reader, move in unexpected directions, create a kind of reading and thinking whiplash. My poetic strategy seems to be that of the change-up, off-speed verbal pitches, an impetus to the unanticipated, continual (when I can manage it) surprise. DA: You’ve published chapbook collections of poetry, but obviously with experience your poems are more accomplished now. BY: There’s no direct relationship between experience and accomplishment. It would be great if there were a constantly upward curve in terms of a writer’s development, but it’s not straightforward progress. Novice poets can write brilliant as well as jejune poems; experienced poets are quite capable of writing crap even at the height of their ability, even as they produce works of genius. Wordsworth is the perfect example of the inconsistent great poet. But if you mean that as experience fades and ripens, poets are better able to process experience and shape it into a successful story or poem, then I agree with you. And so did Wordsworth: “poetry is the spontaneous overflow of powerful feelings; it takes its origin from emotion recollected in tranquility.” I completely agree with him. It takes me a long time—in some cases, decades—to process certain experiences. Tranquility can take a lifetime. With certain experiences, it may never come. DA: As a kid, the word amusement had a different meaning for you than it had for many. BY: Right! I grew up in an amusement arcade. My dad owned and ran a penny arcade on the boardwalk in Ocean City, Maryland from 1947 to 1977. I spent every summer there, playing Skee-ball and pinball as a child, then working for my dad and running the business as I got older. A utopia that became a dystopia! DA: You grew up in Philadelphia. BY:Yes, we lived in the Philadelphia suburbs and my dad was home with us for most of the year. He went down to Ocean City in late May and my mom brought me and my three sisters down after school let out in June. We stayed down there for the summers and closed up in early September to return to Philadelphia for the start of public school. DA: What were summers like at the amusement arcade? BY: I met all kinds of colorful people and had a lot of singular experiences, but I look back on my summers mostly with horror. Ocean City is a wonderful place with a large, beautiful, white beach and much to offer. People who go there to vacation have a wonderful time. But when I was there, I didn’t vacation; I worked—and not as a casual summer employee but as a permanent worker, the boss’ son—and that made all the difference. Summers were traumatic for me. Working from 8:00 AM to midnight or 1:00 AM seven days a week all summer was grueling. Dealing with the arcade employees and with the customers (in this case, the entertainment-starved clientele that frequented a beach resort like Ocean City) was a nightmare. At least it was for me. I was thankful when Ocean City ended—returning to high school and later college felt like an escape into paradise. I’ve just started in the last few years (that’s over thirty years later!) to write about it. The handful of poems in Pointed Sentences that reference or directly confront Ocean City (“The Beaded Sheathe,” “After the Shark” “Salt Thought,” Great Moments in Blindness,” Mussel Memory,” “Ossian City,” “George.”) just begin to rattle the scab of the wound. I’m clearly not done with that subject in my poetry. In fact, I’m still processing a lot of those adolescent and post-adolescent experiences! DA: I’m sure there are some good memories of Ocean City? BY: MANY good memories. My best friend’s father ran the frozen custard stand. We’d have free frozen custard at his dad’s place and then go and play free pinball for hours and hours at my dad’s. What could be better? Then we grew up. No one gets to stay in Eden forever. DA: Fortunately, you were encouraged to read by your parents. BY: Our house was filled with books. My dad was an amateur book collector, frequenting auction houses, buying up big lots of books of all kinds on all kinds of subjects. I read widely and ravenously. Maniacally! Since my dad was home during the school year, he and my mom often went to plays. Playbills everywhere! DA: You were a natural for college. BY: Environmentally favored and genetically predisposed. I was a good student. I went to Swarthmore College where I took a lot of comparative literature classes, wrote poetry, won some prizes, got a degree in English Literature. DA: Being a poet was not as easy as you thought. BY: No, but early encouragement goes a long way. It fuels me even today. There was a long stretch of years though when no one was interested in my poetry. I kept writing anyway. DA: You ended up stepping out into the wider world. BY: Along with everyone else. DA: After college, you went to Israel soon after the Yom Kippur War and ended up as a volunteer on a kibbutz near the Lebanese border, and then traveled about Europe. BY: So many people had similar if not identical experiences. I tried to write about this time in my life; I kept journals and filled notebooks, but I was unsuccessful. I didn’t understand how to make use of my experience. I squandered a great opportunity. The first of many squanderings. Shakespeare has Richard II say, “I wasted time, and now doth time waste me.” I came home with a lot of stories but ultimately empty handed and empty. I slumped back to Ocean City. DA: One major opportunity wasn’t squandered, you fell in love while corresponding with a woman you met on kibbutz. BY: Yes, my love, my salvation! But then love is everyone’s salvation. Two writers fall in love through letters they write to each other. Imagine that! And then we got married a year and a half later over spring break in graduate school where she studied journalism and I got my MA in English literature, taking comprehensive exams in Renaissance and 18thcentury literature. Johnson and Boswell became late enthusiasms. After graduation, we moved to New York, where I began teaching. And then we had two kids. And then we moved back to Chicago. And then I continued teaching. And then we had another kid. And then. And then. And here it is over thirty years later. And my kids are grown, and my wife and I just celebrated our thirty-sixth anniversary, and I am still teaching. Life. It’s funny that way. DA: How did you develop an interest in film? BY: I was completely turned on by seeing films by Fritz Lang, Jean Renoir, Ernst Lubitsch, Jean-Luc Godard and others in T. Kaori Kitao’s film study class at Swarthmore in 1972. Completely eye-opening and mind-blowing! I later took Alfred Appel’s class in film noir at Northwestern. When I had the opportunity to teach film at Joliet Junior College, I grabbed it. I offer my film class each semester both in a face-to-face version and also online. I use a lot of public domain films (see The Internet Archive: www.archive.org ). I’m a fanatic for film noir, silent films, and lesser known/obscure films (see my film blogs: http://byarrow.blogspot.com/ and http://billyarrow.blogspot.com/ ). Some of my favorites: The Man Who Laughs (Leni), He Who GetsSlapped (Sjostrom), Cause for Alarm (Garnett), The Man Who Cheated Himself (Feist), Woman on the Run (Foster), Sudden Fear (Miller), The Blood of a Poet (Cocteau), La Chinoise (Godard), The Amazing Quest of Ernest Bliss (Zeisler), Impact (Lubin), Love Me Tonight (Mamoulian), El Nazarin (Bunuel), Zoo in Budapest (Lee). I like so many! Hard to pick. DA: You also teach Shakespeare. BY: And creative writing. And contemporary literature. And world literature. And composition. And developmental writing. I’ve taught (but which teacher hasn’t?) many, many courses over the years. DA: What relationship do you find between teaching and writing? BY: Teaching allows you to understand the difference between the bad and the poor, between the poor and the good, between the good and the great. It educates your palate. It develops your taste. It forces you to cross borders. It requires you to think things through. It is simultaneously a telescope and a microscope. What I know about writing, I know from teaching. I don’t believe in imitation but I do believe in models. I take ALL the great writing of the past as my model. I don’t discriminate. I read everything and everyone. Writing is knowing. But I don’t feel I really know anything until I’ve taught that thing. Teaching is humbling. It puts you face to face with greatness and dares you to back down. Writing is humbling too. It puts you face to face with what you know and dares you to walk away. I’ve tried not to walk away.